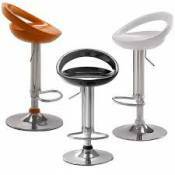 BAR CHAIR W/SWIVEL07256DIMENSION: 29" seat heightFEATURE: Espresso FinishPa.. Item Number : 07304Feature : WALNUT 24" SOLID WOOD STOOLColor :Di..
Wood FinishCAPPUCCINODescription	Width	Depth	Height	Seat Depth	Seat HeightB..
Model Number: 120019Dimensions:Width: 22 x Depth: 22 x &n..
Model Number: 120344Dimensions:Width: 15.5 x Depth: 17.5 ..
Model Number: 120519Dimensions:Width: 17 x Depth: 13.5 x ..
Model Number: 120520Dimensions:Width: 17.25 x Depth: 15 x..
Model Number: 120715Dimensions:Width: 23.5 x Depth: 23.5 ..
Model Number: 122019Dimensions:Width: 20.5 x Depth: 20.5 ..
Model Number: 122020Dimensions:Width: 22 x Depth: 22 x &n..
Model Number: 122049Dimensions:Width: 19 x Depth: 17 x &n..
Model Number: 122050Dimensions:Width: 19 x Depth: 17 x &n..
Model Number: 122060Dimensions:Width: 19 x Depth: 17 x &n.. Fabric ColorBLACKWood FinishBURNISHED CAPPUCCINOMetal FinishANTIQUE BRASSDe..
Model Number: 122263Dimensions:Width: 20.75 x Depth: 14.25 ..
Model Number: 122264Dimensions:Width: 21.5 x Depth: 18 x ..
Model Number: 122268Dimensions:Width: 21.5 x Depth: 18 x ..
Model Number: 130077Dimensions:Width: 47.25 x Depth: 19.75 .. Finish ColorGLOSSY WHITEDescription	Width	HeightBAR UNIT	19.75	42.50..
Model Number: 130503Dimensions:Width: 20 x Depth: 19.75 x..
Part of the 18200 Collection by Scott LivingModel Number: 182004D..